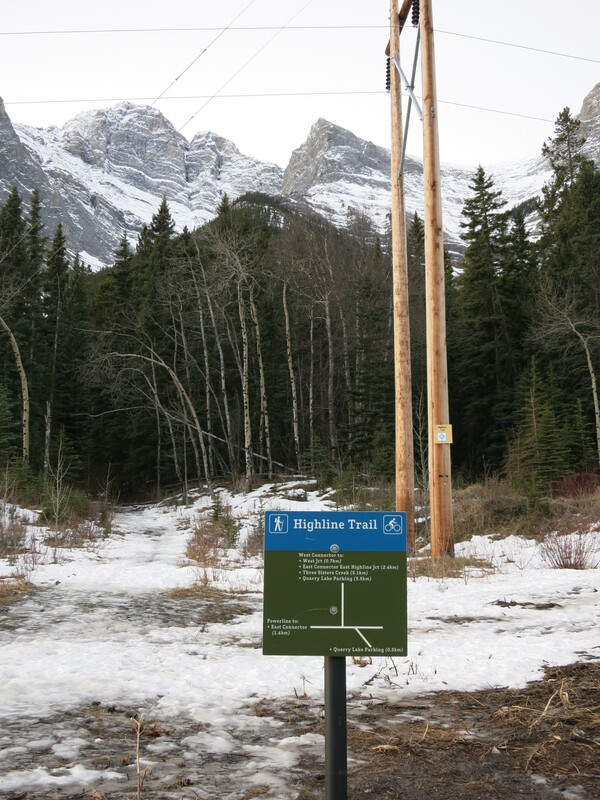 It’s no secret, especially if you follow me on twitter — @canmorerunner — that the Highline Trail ranks top among my favourite runs in Canmore. It wasn’t always the case. It was good three months before I ventured up the Highline, once i’d got a handle of my not entirely irrational fear of bears which was accentuated by the fact that I tend to run alone. But once i’d got up there, I was hooked. 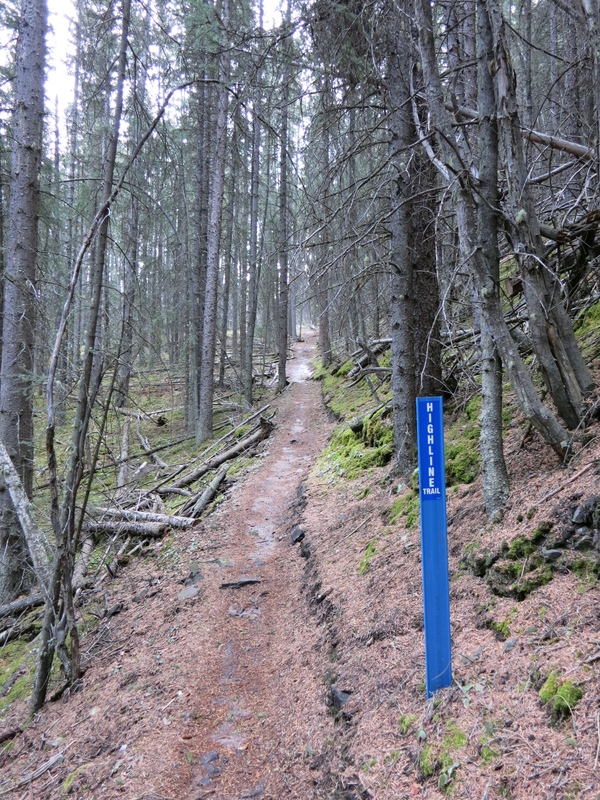 This is the first of a series of posts on specific trail running routes. 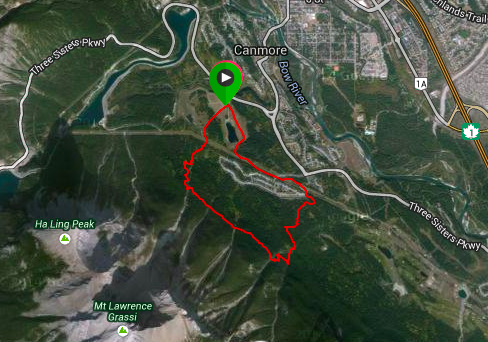 My aim is to build up an online resource for trail running in and around Canmore. As such, any helpful and constructive comments – more detail, less detail, less photos, better photos, it’s simply fabulous as it is – would be very welcome. 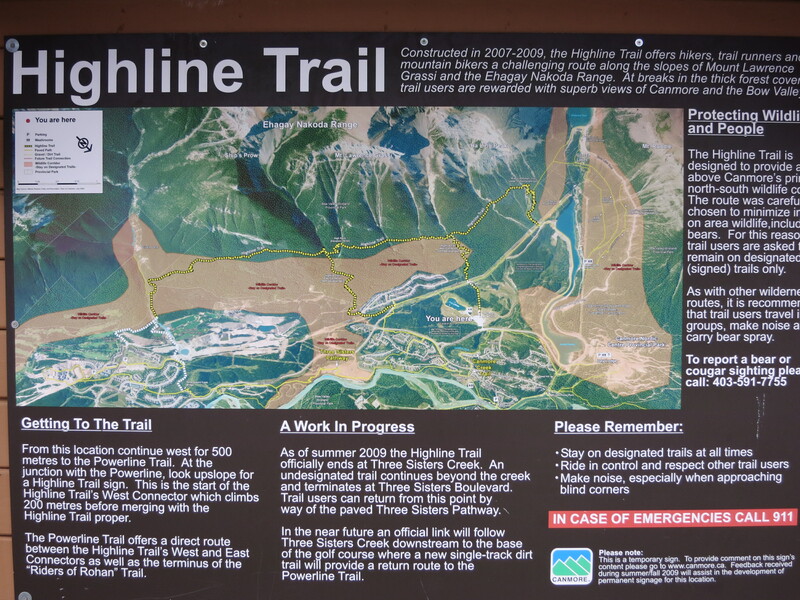 So, back to the Highline. The Highline has a little of everything. 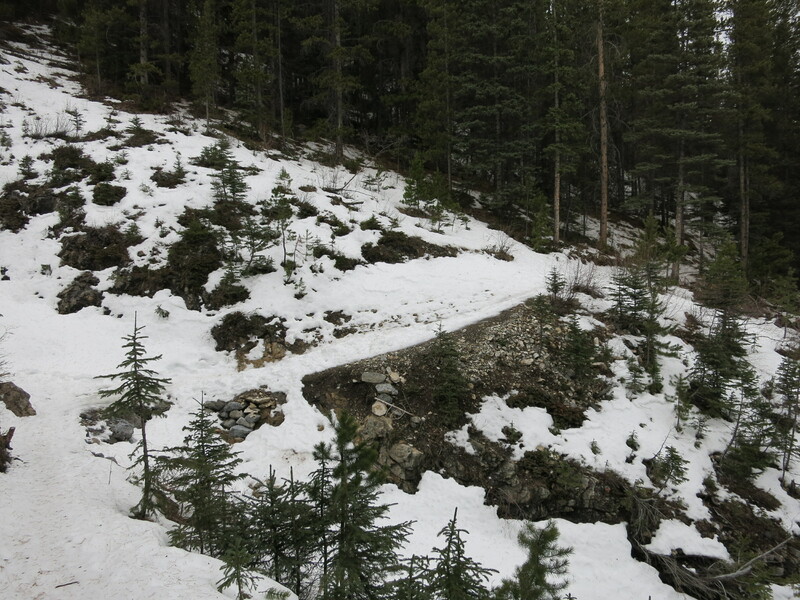 It has a longish (approximately 2km) steady climb to begin, followed by a rollercoaster of a ride along single track, skipping over roots and rocks, dodging trees and branches, while looking out for the occasional, wonderful, views of the valley below and of Mount Lawrence Grassi and Ha Ling above. 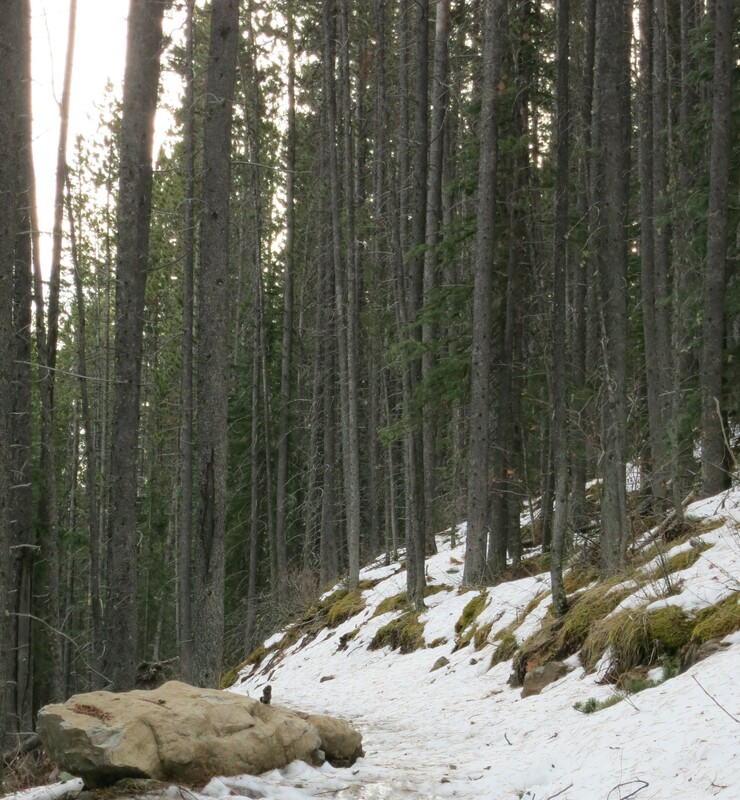 All this is followed by a speedy, twisty, technical descent down to the Powerline trail. 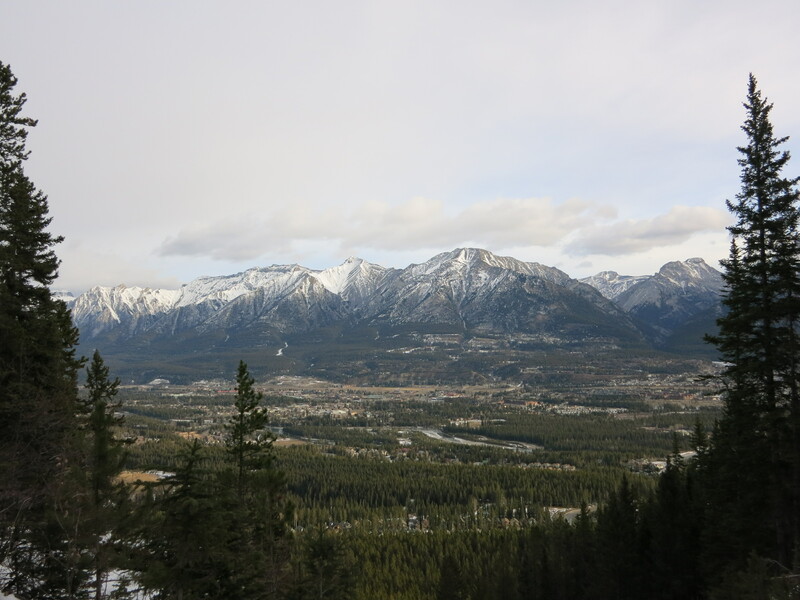 You can make it a relatively quick 6.5km loop that you can squeeze into an extended lunch break, starting and ending at Quarry Lake and heading up and down the east and west “connectors”. 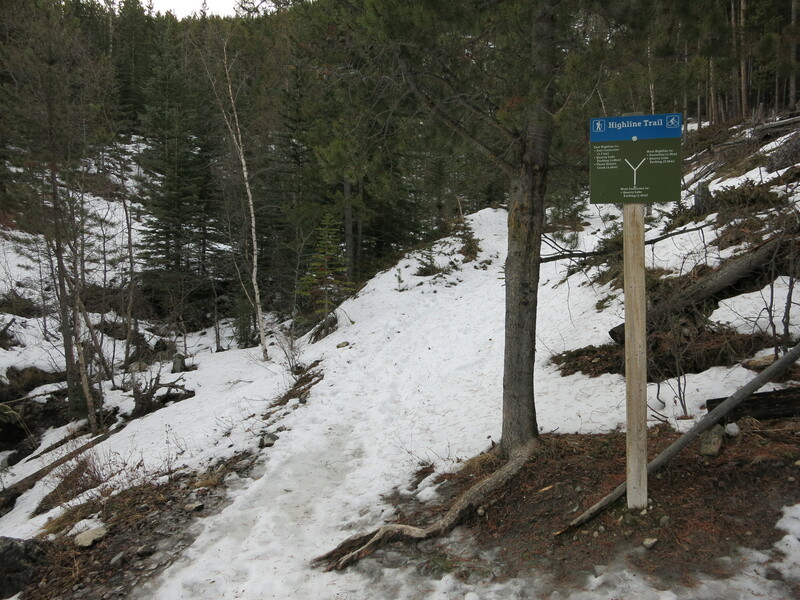 Or you could opt for something longer, heading east towards Three Sisters Creek and Hubman Landing and back to Quarry Lake for a more challenging 12km. 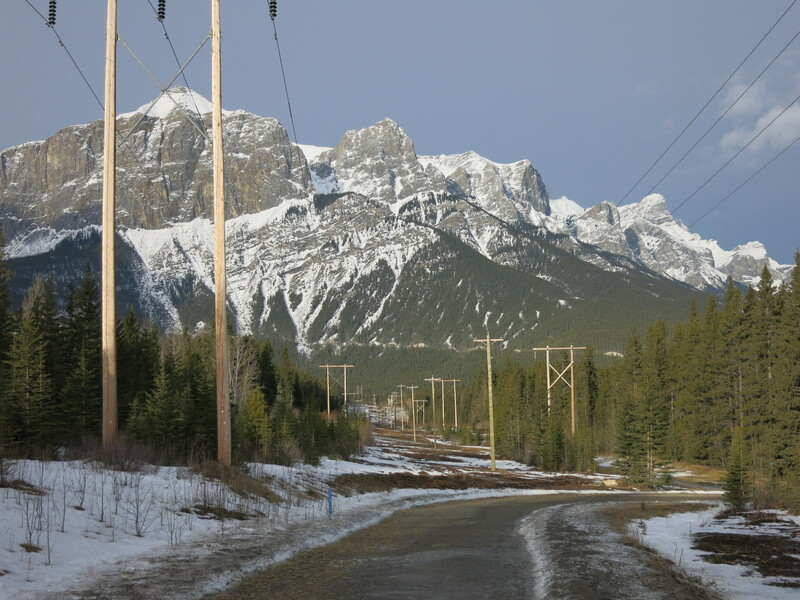 You could also head west towards the Riders of Rohan intersection from where you can drop back down to the Powerline, or continue onwards and upwards to beautiful Grassi Lakes, and then down and around the reservoir and eventually rejoining the Powerline Trail for a solid 10k. Or you could run it in its entirety, east to west or vice versa. 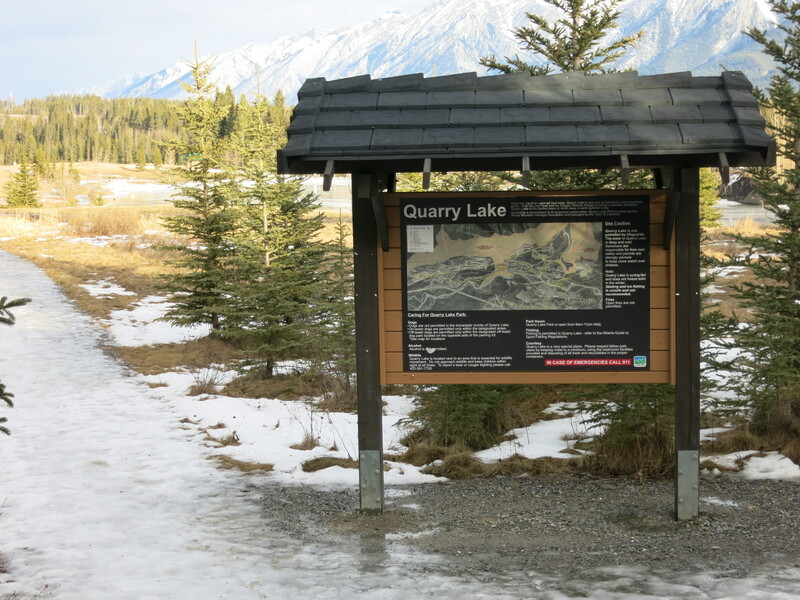 Quarry Lake is a really stunning and, therefore, very popular spot, especially with dog walkers as it has a large off-leash area. 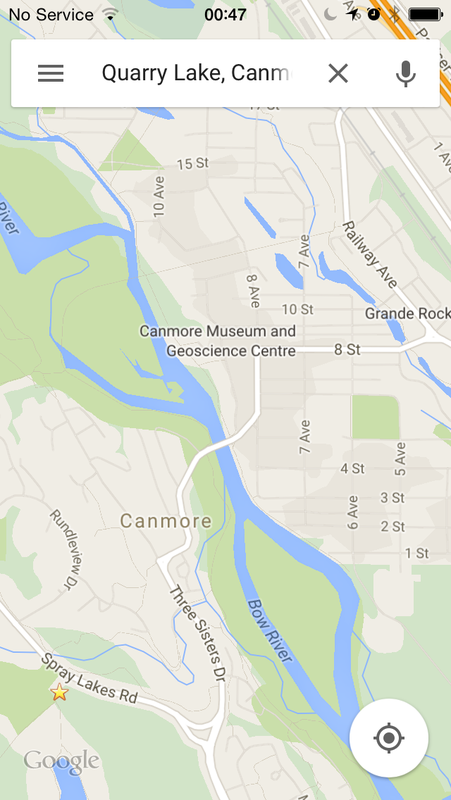 It’s about 5 minutes drive from the centre of Canmore on Spray Lakes Road, heading towards the Canmore Nordic Centre. 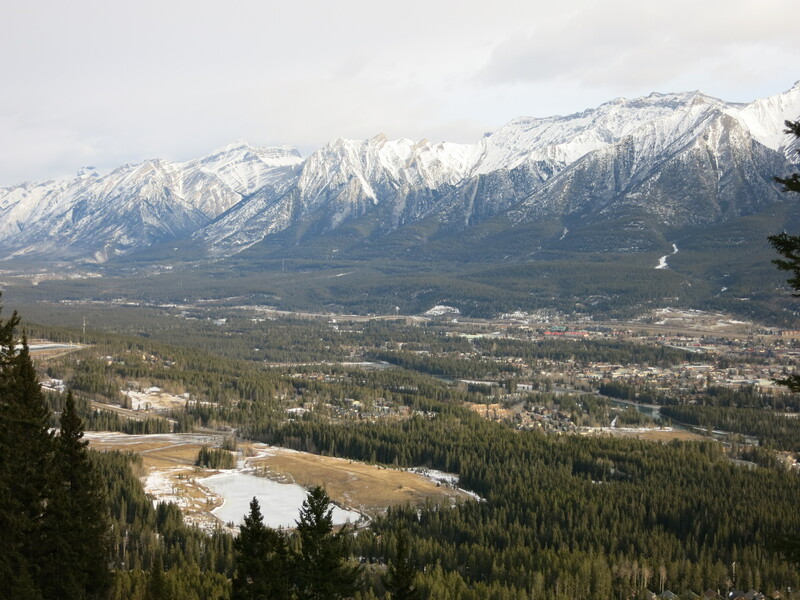 It’s well worth a visit even if you’re not planning to run. 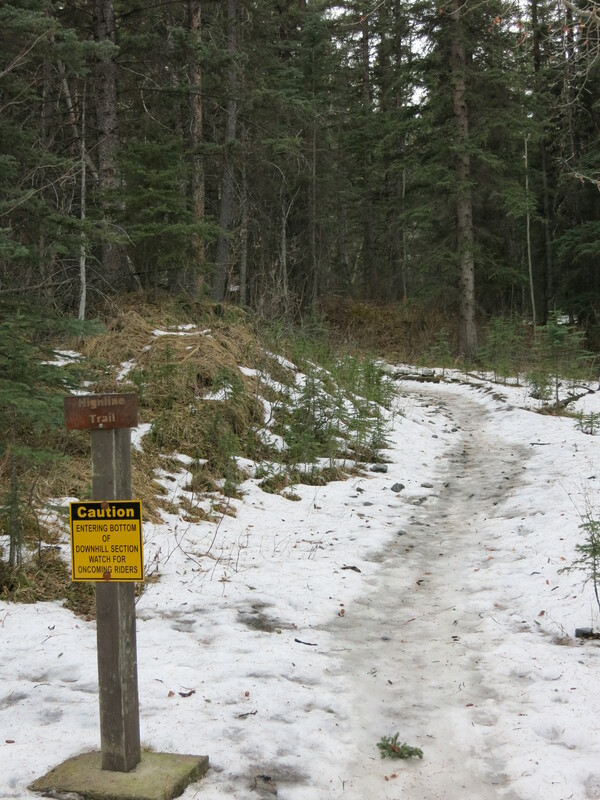 Quarry Lake, marked with the star. 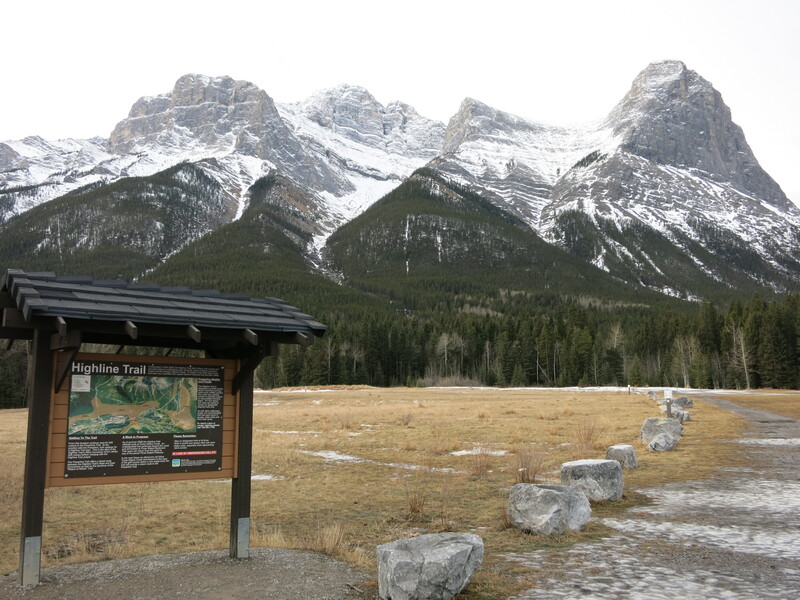 The trail head is by the car park and fairly difficult to miss, unless you’re distracted by the stunning views of Mount Lawrence Grassi and Ha Ling peak … and fear not, while the Highline is high, it’s not as high as Ha Ling and runs mostly through the trees. 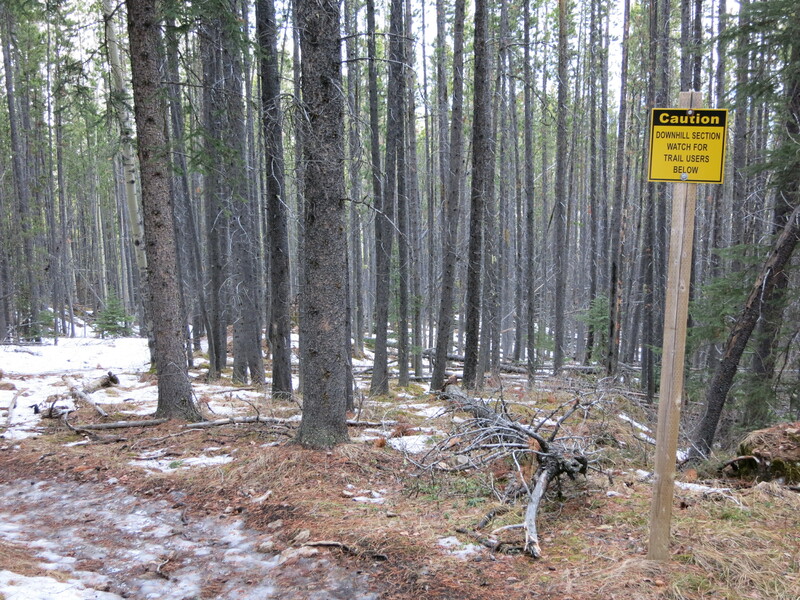 As the sign says, keep an eye out for mountain bikers. 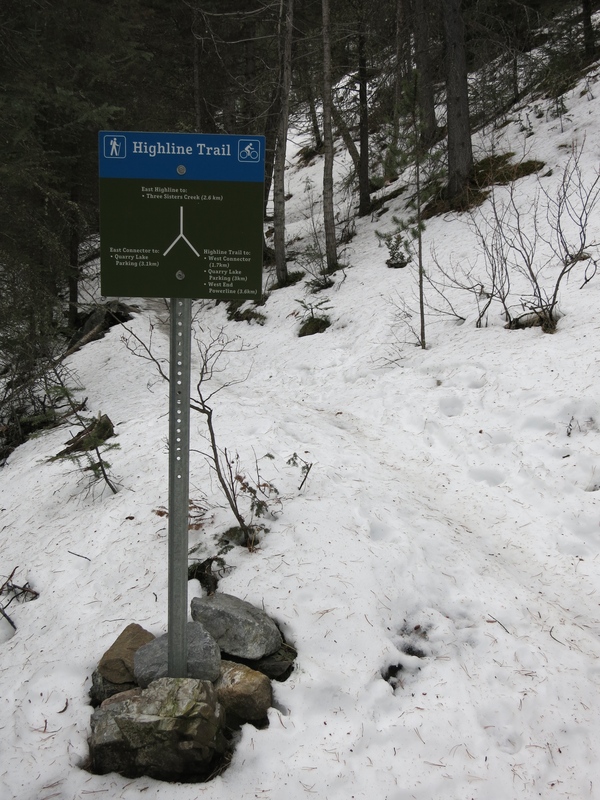 It’s an understandably popular trail for them too. 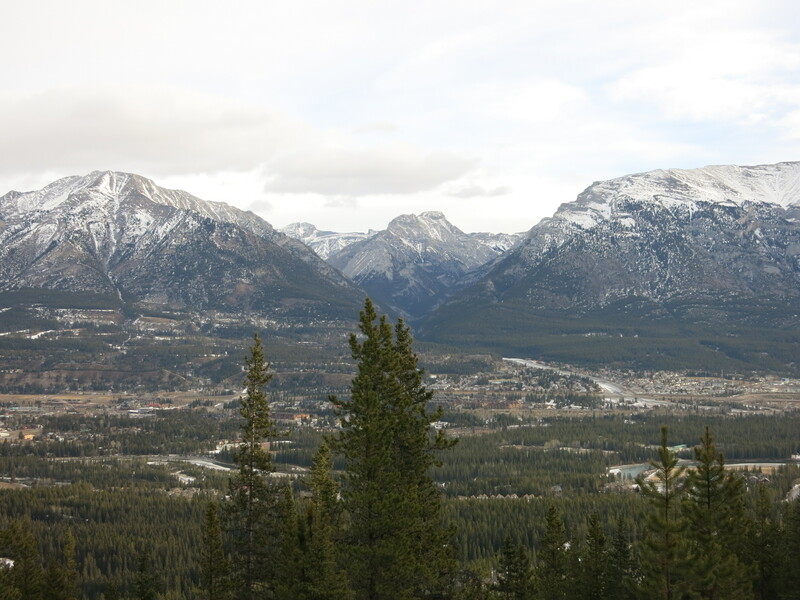 And from here you can loop around the lake, return to the parking where you can marvel at the massive amount of fun you’ve just had, with some 263m of elevation gain, all packed into 6.5km. It makes for a great tempo run.